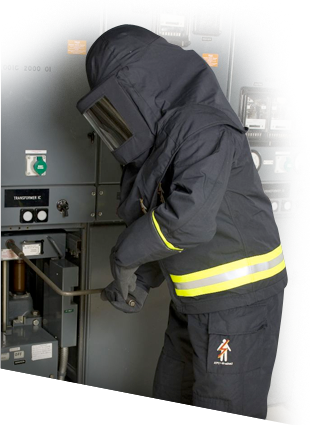 Arc Flash – Westphal & Co.
Having a quality maintained electrical distribution system and the appropriate PPE are the keys to avoiding costly and perhaps deadly arc flash hazards. Westphal can identify and eliminate electrical problem areas that can lead to unscheduled outages, equipment failures, and electrical safety concerns. Our services incorporate OSHA standards, NFPA standards, and adhere to the National Electrical Code. Westphal & Co. Inc. provides complete Arc Flash Analysis, Thermal Imaging Inspections, and Safety Training of your staff regarding NFPA 70E. Trained electricians will visit your facility and collect the necessary data. Using the data, we calculate all of the contributing factors that affect the incident energy of your electrical distribution system. We provide you with reports, labeling, and engineering, and then train your employees on proper Personal Protective Equipment (PPE), Hazard Boundaries, and NFPA Standards. Westphal & Company is committed to increase the safety awareness in the workplace of your facility, by bringing compliance with NFPA, OSHA, and NEC standards to your company. Westphal provides comprehensive Thermal Imaging Inspections of your facility as well, in order to identify and eliminate current overloads, loose connections, and equipment corrosion which cause temperature increases in the system that result in equipment failure and unscheduled downtime. After the inspection, we generate reports that identify the problems and suggest procedures for corrective actions. Other applications for our TI inspections include mechanical and HVAC equipment, heating and cooling loss in ovens and refrigeration equipment, and so forth. Inspections can offer a direction for preventative maintenance that can reduce risk and eliminate unscheduled production interruptions. Identifying existing problems as well as potential problems can be an invaluable resource for system reliability. The applications are endless and the benefits are enormous.